Call (860) 246-1400 for more info. Call (860) 246-1400 for more information! 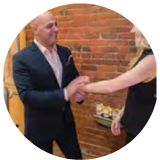 Dr. Karlos Boghosian is the founder and CEO of SOVITA CHIROPRACTIC CENTER™, a mission-driven company that strives to be America’s most patient-centered chiropractic organization. 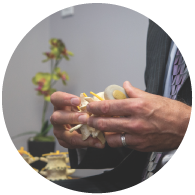 Dr. Boghosian is dedicated to providing fellow chiropractors superior support that enables them to provide high-quality chiropractic care in a system-based environment. With more than a decade in the chiropractic field, Dr. Boghosian has not only cared for tens of thousands of patients in his high-volume chiropractic center, but also revitalized underperforming clinics by identifying, developing and implementing a series of processes and systems that are duplicable to address the common challenges of many chiropractic practices. Fluent in four languages, Dr. Boghosian is an extraordinary lecturer and thought leader in the chiropractic industry. He has been a guest speaker on numerous platforms including: The Connecticut Chiropractic Council’s Extravaganza, the Connecticut Chiropractic Association’s Annual Conference, Berkshire Philosophy Group, Massachusetts Alliance for Chiropractic Philosophy, New Beginnings Philosophy weekends, and to local EPOC groups. Dr. Boghosian was nominated for Chiropractor of the Year in Connecticut in 2014, and was appointed by Governor Dan Malloy to the Connecticut Chiropractic Board of Examiners in 2015. An advocate for the chiropractic industry amongst policymakers, he’s active in multiple state and national chiropractic organizations. Additionally, Dr. Boghosian is a member of the board of trustees for the Boys and Girls Club of Hartford. Under his guidance, SOVITA CHIROPRACTIC CENTER™ is an active and engaged community partner. Dr. Boghosian’s life experiences, specific business principles and passion for chiropractic provide a strong foundation of strength, family values, and the desire to achieve the American dream. With these influences guiding SOVITA CHIROPRACTIC CENTER™, he helps foster business entrepreneurship amongst his peers and all others interested in launching their own franchise. Dr. Boghosian is a distinguished graduate of the University of Bridgeport, Chiropractic College in Connecticut. He is board certified by the National Board of Chiropractic Examiners in all 50 states, as well as Canada. He lives in Simsbury, Connecticut, with his wife Shannon and children Jacob and Sophia, and continues to practice in his own SOVITA CHIROPRACTIC CENTER™ clinic. For more information about Dr. Boghosian and SOVITA CHIROPRACTIC CENTER™, visit www.sovitafranchise.com. Over the years, I have learned that business growth can be accelerated when specific business principles and axioms are respected and applied; and it is those same principles that not only benefit the patients, but the doctors, staff, and of course the chiropractic profession as a whole. Therefore, I am searching for motivated, qualified doctors to join me on my mission to do more, and to do it better. This website and the franchise sales information is not an offering of a franchise. In New York (USA), an offering of a franchise can only be made by a prospectus that has been previously filed and registered with the Department of Law of the State of New York. The application for registration of an offering prospectus or the acceptance and filing thereof by the Department of Law as required by the New York law does not constitute approval of the offering or the sale of such franchise by the Department of Law or the attorney general of New York. © 2016 SoVita Chiropractic Center™ | All Rights Reserved.